Sanderson: Hey there, Pat. Nice talking with you again. Rothfuss: Thanks for being willing to do this. I know you're insanely busy these days. 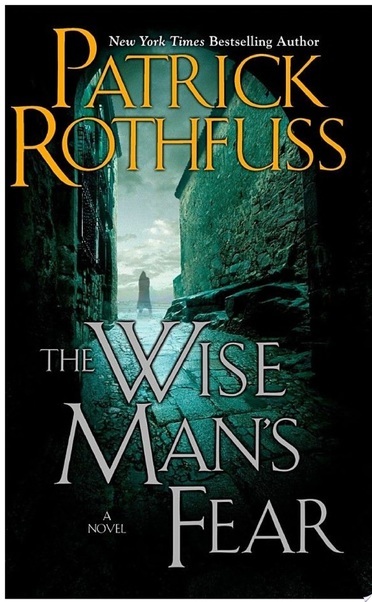 Rothfuss: Wise Man's Fear ended up being 395,000 words. And that's despite the fact that I've been pruning it back at every opportunity for more than a year. I'd spend weeks trimming superfluous words and phrases, extra lines of dialogue, slightly redundant description until the book was 12,000 words shorter. Then a month later I'd realize I needed to add a scene to bring better resolution to a plot line. Then I'd add a couple paragraphs to clarify some some character interaction. Then I'd expand an action scene to improve tension. Suddenly the book's 8,000 words longer again. I have a question for you, then. Did you always intend the Kingkiller Chronicle to be three days split across three books? Or did you start writing it as one book and then split it? What’s the real story behind that? Rothfuss: Assuming I had any sort of plan at the beginning is a big mistake. I just started writing. I didn't have a plan. I didn't know what I was doing. For years and years I just thought of it as The Book in my head. I've always thought of it as one big story. Then, eventually I realized it would need to be broken up into volumes. I can't say why I picked three books except that three is a good number. It's sort of the classic number. And while the story is working well in this format, part of me wishes I'd broken it into smaller chunks. This second book has so many plotlines. If I'd written this trilogy as say, 10 books, each one would be much shorter and self contained. More like the Dresden Files.